A vibrant and colorful experience in Chandigarh. Stunning rooms beautifully designed with wooden decor and a polished ceiling in the GMG Hotel, promises you a comfortable stay in the city. The room comes with a decorated ceiling, unique and sober finishing making the place cozy and comfortable. The spacious rooms with windows of the city view give a mesmerizing feeling. The accent wall is charming and makes the room lively. Chairs and a table make for the extra space in the room. 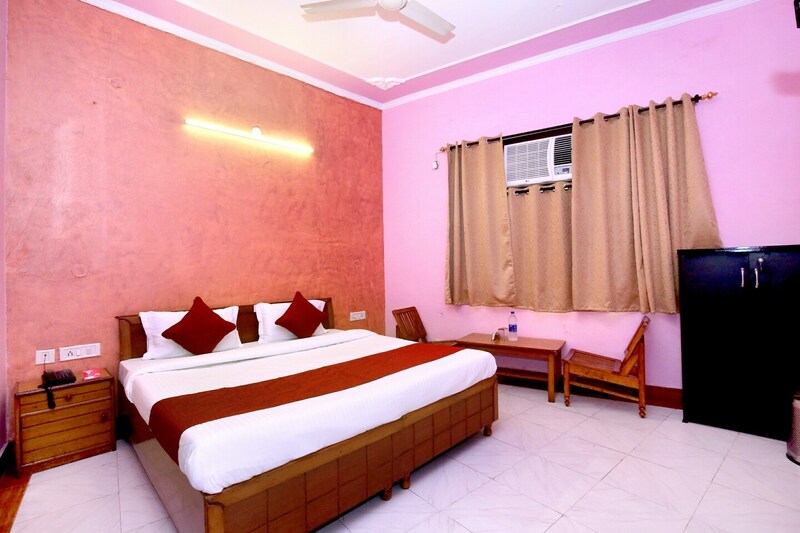 Various facilities include free wifi, the amenities make the room a perfect place to be lazy with unique decor. Tourist spots such as Garden Of Fragrance, International Dolls Museum, and Shanti Kunj Park are near the hotel.